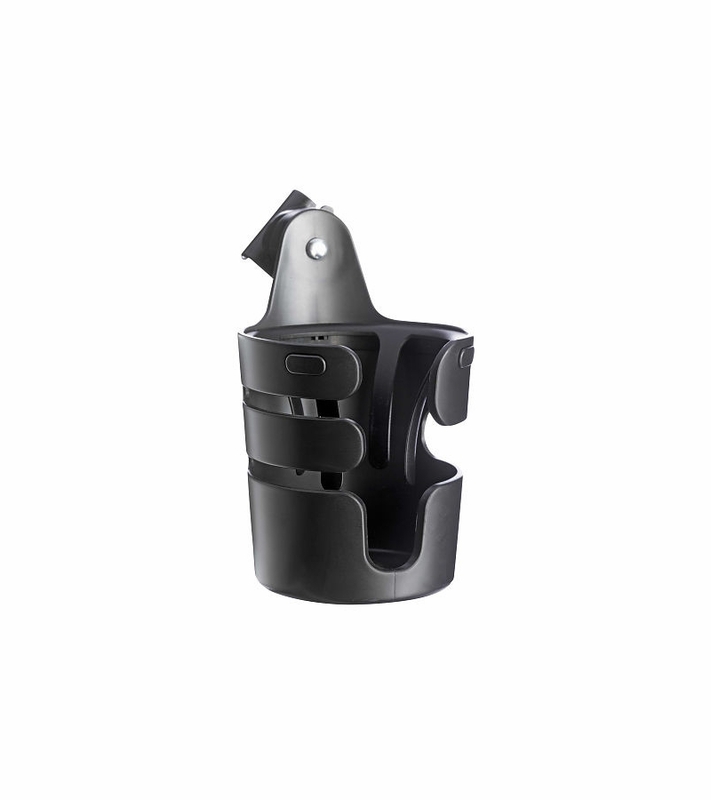 The attachable Bugaboo Cup Holder in black is suitable for a wide range of drink containers up to a volume of approximately 700 ml. 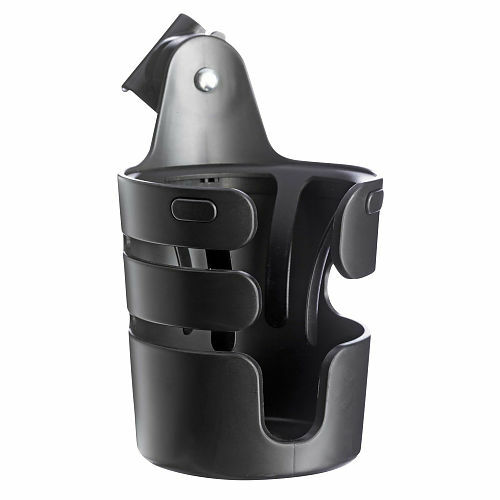 You can still reverse the handlebar position on your Bugaboo stroller with the cup holder attached. Please note that the cup holder is not suitable for hot drinks. we love this product, you can attach different area. it come with different attachment. I've had other brands of cup holders but this one honestly tops each one! Holds the cup firmly and is very steady. I like how it holds different sizes as well! i think this one is really essential accessary for stroller. Very essential for my bugaboo stroller. I even put baby bottle in here for convenience. Essential item in summer and winter! It's an essential item to take your drink with you and have your hands free! I'am Very happy with my purchased that had to buy a second one. Fits most Of the bugaboo strollers! !Love that even holds different sizes of bottle water, From the smallest drink to even super size beverages. ProsLove the style and the maneuver and works for most of the bugaboo strollers. This cup holder is a must have especially since my bugaboo cameleon doesn't have any drink storage option. It holds various of sizes well.The only downsize is that it sticks out so once I fold the stroller it stays on the way or falls down.